It turns out that acquiring enemies the same way that other people acquire baseball cards is not the smartest thing in the world to do. Martin Shkreli, aka "The Pharma Bro", aka "the most hated man on the Internet", was arrested in New York earlier today and charged with securities fraud. The 32-year old CEO of Turing Pharamceuticals and KaloBios Pharmaceuticals was released on $5 million bail. Shares of KaloBios Pharmaceuticals fell by over 50% on the news before being halted by the SEC. When the pictures of Shkreli being marched into a federal court in Brooklyn were released to the public, many people figured that he was being charged for something relating to his decision to hike the price of Daraprim from $13.50 to $750/pill. In the end, however, Shkreli was charged with making fraudulent representations to investors of a hedge fund that he formerly ran, in addition to using funds from Retrophin, another pharmaceutical company at which he was also CEO, to pay back disgruntled investors of his hedge fund. Shkreli has seemingly been in the news constantly over the past three months or so. 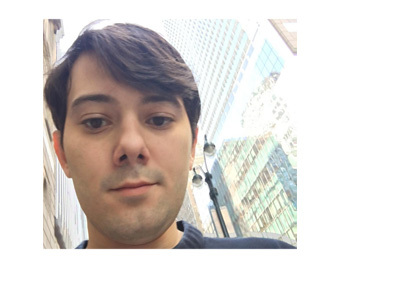 As a matter of fact, Shkreli has been mentioned by Hillary Clinton, Donald Trump and RZA from the Wu-Tang Clan. In September, Shkreli's company, Turing Pharmaceuticals, purchased the US rights to Daraprim for $55 million and immediately raised the price of the drug from $13.50 to $750/pill. People went wild after this news was announced, as the drug is used to treat a parasitic disease that mainly impacts pregnant women, cancer patients and AIDS patients. Shkreli was unrepentant, claiming that we live in a capitalist society and that he had a duty to his shareholders to make as much money as possible. Shkreli eventually promised to lower the price of the drug, only to backtrack a few weeks later. People were already outraged about Shkreli, but his smug nature caused people to dub the former hedge fund manager the "most hated man on the Internet". Shkreli revelled in the attention, constantly taking to his Twitter account to mock his naysayers. Shkreli's time with Retrophin, Inc., as well as his time spent with his former hedge fund, would provide law enforcement with the means necessary to land the reviled former hedge fund manager behind bars. A short while later, KaloBios Pharmaceuticals, which was in the process of winding down its operations, announced that Shkreli had purchased a majority stake in their company. Shares of KaloBios rocketed as a result, shooting from approximately $1 to well over $30 over the course of just a few trading sessions. Shkreli added fuel to the fire when he revealed that he would no longer be lending out his shares for short sales, which helped to create a further squeeze in the stock. As that story started to recede, another bizarre story popped up - Shkreli had paid $2 million for an unreleased Wu-Tang Clan album. There is only one copy of the album in the world - the Wu-Tang Clan was seeking a buyer for the album, and a mysterious buyer surfaced earlier in the month. When Shkreli was revealed as the buyer, the Wu-Tang Clan expressed regret that Shkreli was the buyer but the transaction ended up going through. Was today's arrest the end of the Shkreli story or another chapter in the ongoing saga?